In short, they want to be a hiring ham! With the holidays approaching, we couldn’t resist the little play on food for this article. That doesn’t mean it’s any less serious. Low unemployment rates make it more challenging than ever to attract, recruit, hire, and retain high-performing A-players. HR is tasked with the important feat of beating out the competition for the best employees. Failing to do this can cost the company big. Mediocre employees and high turnover can cause low productivity and sliding profitability. Since 2018 is closing out, HR Pros should take the time to audit hiring processes now and make changes that drive 2019 success. Here are 7 questions to ask to make sure you’re a hiring ham. How is your candidate experience? A good place to begin your audit is by measuring your candidate experience. When have you updated the way you treat applicants? If you don’t know, this exercise is already uncovering important ways to improve. Applicants expect to be treated well during the interview and application process. If they find your experience lacking, they will share their negative experience across review websites and social media platforms. Negative posts weaken your employer brand and may discourage future A-players from even sending you a CV! Take action: Create tangible ways for hiring managers to connect and communicate with all applicants, not just the ones they want. Accessibility and authenticity are key in creating a positive candidate experience. Are your recruiting efforts updated? If you haven’t freshened up the way you attract job candidates, it’s time to do it. What actions are your company taking to engage with new talent? Are you leveraging your employer brand and company culture effectively? If not, add information about both into your recruiting materials. Are you focusing only on external recruiting? If so, you are probably missing some great talent! Current happy employees are goldmines for recommending high-quality new employees, especially passive candidates who aren’t actively looking for a job. Take action: Make certain your organization is using all the channels available for reaching potential applicants. Employ multiple job sites, social media, and happy employees to maximize the depth of your hiring pool. What do your HR metrics tell you? Numbers don’t lie, so use them to paint a picture of your hiring process’ success. What is the average time it takes to fill a position? How many open jobs does your company currently hold? Is there a significant number of complaints about your hiring process? These are concrete stats that show you the strengths and weaknesses of your current hiring process. Employee turnover is another key metric. Is it increasing? If so, dig into why this is happening. Take action: Monitor these numbers consistently and take steps to improve them. Whether it’s additional hiring people on staff, cutting out current extraneous steps within the hiring process, or re-training the hiring staff on how to communicate with job seekers, make it a priority for these numbers to tell a positive story. Is your background screening process performing? In today’s competitive environment, companies that wait for several days on a background check might miss out on A-player candidates. While you’re waiting on a background check, a competitor might make them an offer they can’t refuse! Closely examine of how you screen each job applicant. Are the background checks necessary and relevant to the position they are applying to fill? How long is your current vendor taking to return these to you? Take action: If you’re waiting more than a few days to receive a background check report, you need to start a conversation with the background check company to see how you can expedite the process. For example, the company may need authorizations or additional information to hasten the screening process (this happens frequently with employment and education verifications). By making sure your background screener is responsive and agile, you proactively cut the risk that this part of the process will cause you to lose out on your first-choice hire. Is everyone involved in hiring educated and informed? Discrimination and negligent hiring are still big deals. It’s critical for everyone involved directly or indirectly in the hiring process to be well-versed and attentive to the rules. When’s the last time the hiring team was trained on the specifics of the process? If you can’t remember, chances are good the process has gotten lax. Lapses in attention to detail and consistency set up your company for costly and embarrassing lawsuits regarding discrimination. Take action: a consistent training program in place for your hiring staff, set one up. Include regular meetings and written rules and regulations. Put a timeline in place for any new hiring staff to get up and running with the compliant process. 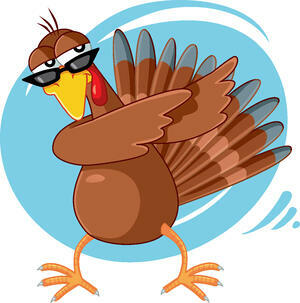 Bottom line: Don’t be a hiring turkey! A poor hiring experience, lags in communication, and a background screening process that drags on and on won’t land you the A-players you need to maintain a productive and competitive workforce. By auditing the hiring process now, HR puts their company ahead of the curve for a successful recruiting and hiring season in 2019!